You can capture the attention of an audience by using the power of infographics, but hiring a professional to create them for you can be expensive. If you’re keeping a watchful eye on your spending, you’ll love these done-for-you pieces of eye candy because social media favors photos and images are the best performing post type for Facebook. Each infographic template measures 600 pixels wide by 2400 pixels tall.The designs are already done-for-you. Simply add your information to the templates and share them. 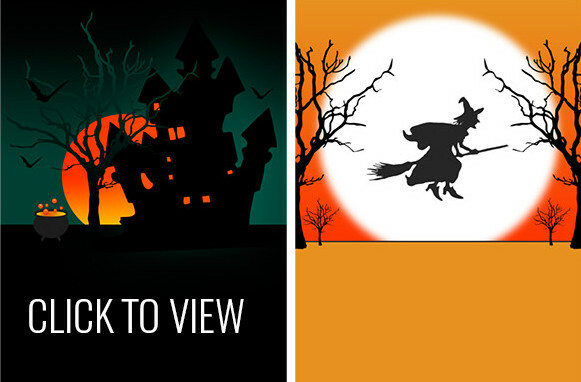 In consideration that you might not own Photoshop, I placed each Halloween infographic into a layout scheme using Powerpoint. If you don’t have Powerpoint, consider using the same type of program found inside of the Open Office software (free download). 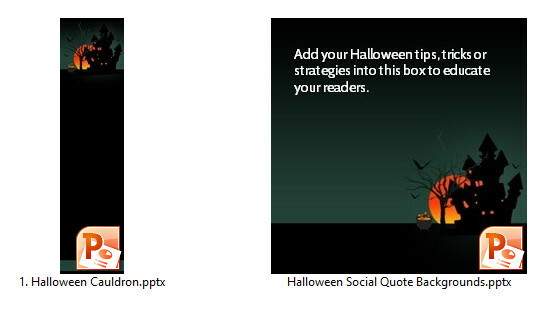 Likewise, I placed each Halloween social quote image into a layout scheme using Powerpoint to bypass the need to own Photoshop. Since each social quote background has a matching infographic template, you might want to pull out information from your infographic to use as a social media quote – or – use different tips entirely. It’s totally within your control on how you use the images. 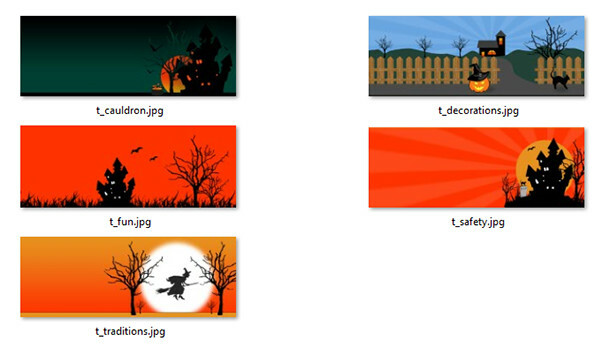 If you like supporting the Halloween holiday, these timeline cover graphics will come in handy. You’ll receive five timeline covers to match each of the infographics, which you can edit to add text and your website address.